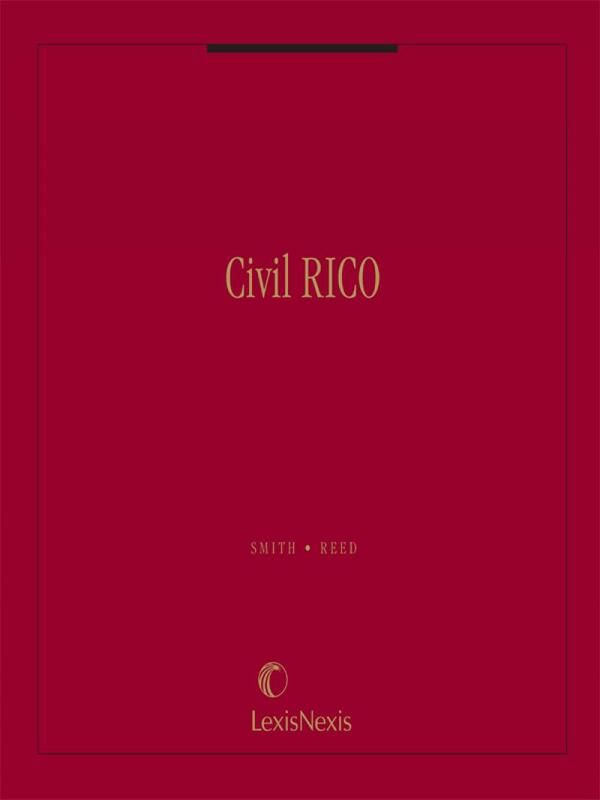 Responding to the growing use of civil RICO by private litigants, this all-inclusive publication fills the need for knowledgeable discussion of the substantive law. 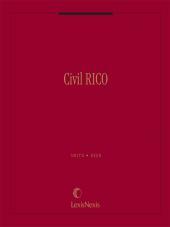 Responding to the growing use of civil RICO by private litigants, this all-inclusive publication fills the need for knowledgeable discussion of the substantive law, while incorporating a close examination of the practical problems and procedural issues involved when litigating a RICO case. This is one volume, loose-leaf. 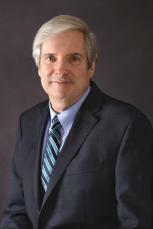 David B. Smith is a partner in the firm of Smith & Zimmerman, PLLC in Alexandria, Virginia. He specializes in the defense of federal criminal cases, as well as seizures and forfeitures. 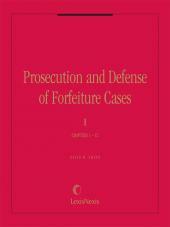 In his 1996 book on the controversy over forfeiture, A License to Steal, Professor Leonard W. Levy described Mr. Smith as "the nation's foremost authority on forfeiture." Mr. Smith is Chair of the Forfeiture Committee and a member of the Board of Directors of the National Association of Criminal Defense Lawyers. He is also a frequent lecturer on forfeiture developments and has appeared on many television and radio talk shows. Mr. Smith assisted Congress in drafting some of the most important federal forfeiture statutes, including the Civil Asset Forfeiture Reform Act of 2000 (CAFRA). He also helped the Advisory Committees on Criminal and Civil Rules write the federal criminal and civil rules governing forfeiture procedures. He is also an expert on restitution and criminal fines, the RICO statute, and victims' rights, all of which are covered in his forfeiture treatise. He has argued over 100 federal criminal and civil appeals in all circuits and participated in the litigation of several U.S. Supreme Court cases dealing with forfeiture issues. Before entering private practice, Mr. Smith, a graduate of Yale Law School, was Deputy Chief of the Asset Forfeiture Office, Criminal Division of the United States Department of Justice, and an Assistant United States Attorney in the Eastern District of Virginia, where he prosecuted procurement fraud and other white collar cases. He received the NACDL President's Commendation Award in 1993 and 1994. He served as a part-time associate Independent Counsel in the investigation of former Secretary of Agriculture Michael Espy in 1995. Terrance G. Reed practices law in Alexandria, Virginia, with the law firm of Lankford & Reed, PLLC. His practice includes extensive civil and criminal RICO litigation in federal and state courts, including class and multi-district litigation. Mr. Reed was formerly the Chair of the RICO, Forfeitures, and Civil Remedies Committee of the ABA's Criminal Justice Section and was the ABA's Advisor to the Uniform Law Commission for the drafting of the Uniform Forfeiture Act. 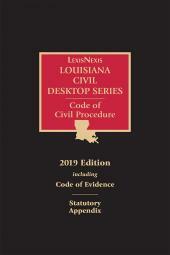 Mr. Reed is a 1982 graduate of Georgetown Law School where he was Editor-in-Chief of the American Criminal Law Review. In addition, Mr. Reed served as a law clerk for the Honorable John Sirica of the District of Columbia District Court and the Honorable Warren Ferguson of the Ninth Circuit Court of Appeals. Mr. Reed is a member of the American Law Institute.